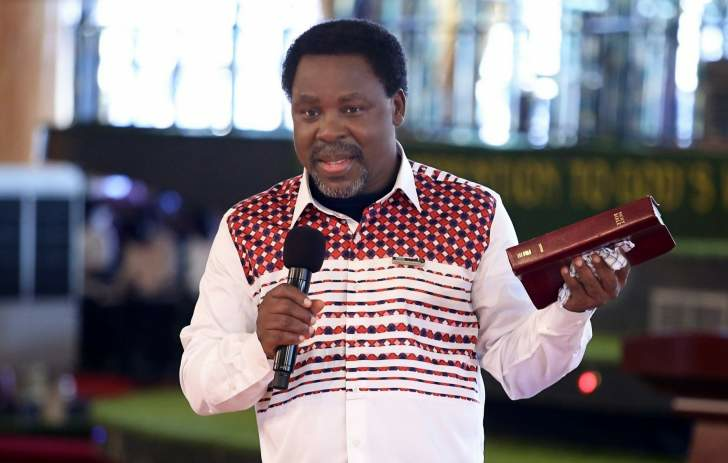 A three-word message is all popular Nigerian prophet Temitope Balogun Joshua left his multitudes of Zimbabwean followers on his private visit to Harare last Friday. That the Synagogue Church of All Nations leader would be in Zimbabwe had been making rounds on social media. What the general citizenry lacked knowledge on were the date of his arrival and nature of interactions. So when he did come last Friday, he interacted with senior Government officials and left later the same day, without the entire nation noticing. Many sighed at having missed a possible encounter with one of the Christian world's leading lights. But his message was a simple, yet powerful, "God loves Zimbabwe". Brandme International executive director Mrs Josey Mahachi-Agbeniyi, who facilitated the visit, told The Sunday Mail that Prophet TB Joshua will hold a crusade in Zimbabwe soon. He paid a courtesy call on Vice-President Kembo Mohadi and Minister of Scholarships Dr Christopher Mushohwe. Acting Information, Media and Broadcasting Services Minister Simon Khaya Moyo told The Sunday Mail that President Mnangagwa could not meet the prophet as he had other commitments. "We understand some people are spreading false information that we snubbed TB Joshua. I want to make it clear that the President did not snub TB Joshua, he is not a snubber." Mrs Mahachi-Agbeniyi confirmed this, "He just wanted to see Zimbabwe. For someone at his level, he would not do so without paying a courtesy call on Government officials. Unfortunately, when he was available, the President had other engagements. He (the prophet) had to rush for an urgent event in Lagos, so he left late Friday night. "He said God loves Zimbabwe. He loves Zimbabwe, and there is going to be a crusade very soon. We all appreciate his having come to Zimbabwe for the first time. Dates and logistics will be announced soon." She also said, "I have known TB Joshua for two years, and I am always at Scoan once, if not twice, every month. On my first visit there, I was blessed to meet him one-on-one. "Since then, I have been asking him to just step his foot in Zimbabwe like he does in other nations. When God's time is due, it surely happens and it has happened."